Are you seeking to luxuriate yourselves surrounded by the ultimate opulence of the best beach resorts in Thailand during your next trip? Look no further. Discover what the ever so vibrant “land of smiles” has to offer you in this list of the 6 best luxury beach resorts in Thailand, prepared by us for your browsing pleasure. Trisara is a deluxe resort facility positioned far away from the hurry and scurry of Thailand’s most popular beach destination; Phuket. The grandiose facilities of this most exclusive resort are set amidst 14 hectares of protected nature preserve on a sequestered cove surrounded by the glory of the Andaman Sea. Experience supreme privacy at each of the opulent private-pool villas and residences, ideal for couples, groups or families seeking to spend some time together. 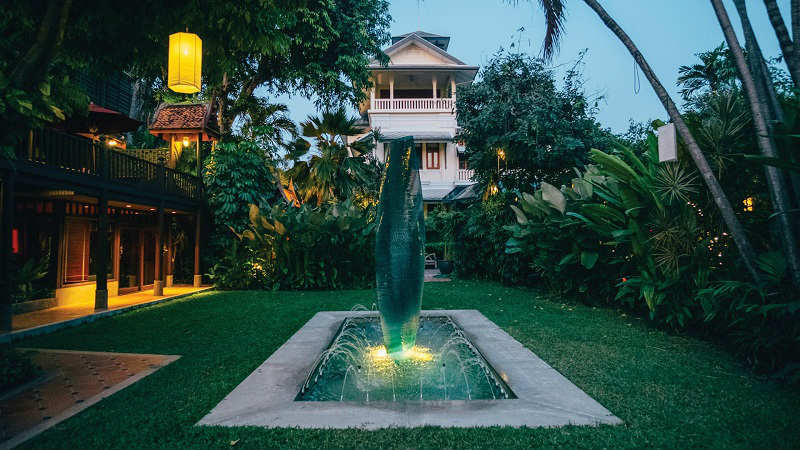 This five-star resort truly lives up to Thailand’s core traditions and values, as can be seen in its fabulous traditional architecture throughout the premises, its nourishing authentic heritage recipes and its overall involvement in the bolstering of local communities. This illustrious resort offers a wide range of unique activities in and around the resort’s premises. You might just want to laze around your infinity pool, but why not pop out for a private helicopter flight to awe at the nearby World Heritage Site of Phang Nga Bay? Resort hosts are happy to arrange a variety of activities for you, take a private cooking class, cruise on a luxury motor yacht and explore the surrounding islands, go snorkeling at a nearby coral reef, or simply relax at the white sands of the resorts private beach. Optionally, a unique DDEN - Digital Studio experience entails a professional photographer capturing your stay through still imagery and film, then creating an artistic visual memoir of your time spent in Phuket. Trisara is a very memorable place to spend some time at, best suited for those seeking to cherish and savor the invaluable company of their dearest friends, families and loved ones. Going out and about may not seem too worthwhile due to the resorts distance from the action-packed town of Phuket, but you probably won’t even be tempted to do so with all of the great activities and amenities offered to you right at this astoundingly spectacular destination of its own. Should you wish to go on any excursions, such as to downtown Phuket, day trips to may be arranged. This charmingly tranquil getaway is a carefully put together symbiosis of Thai-style service influences and western-style luxury standards. The Koyao Island Resort is situated right amongst the scenic Phang Nga Bay archipelago. Overlooking what has been coined as James Bond’s bay this resort boasts ‘the best view in Asia’, rising across the horizon behind the resort’ 220m of white sand beach. 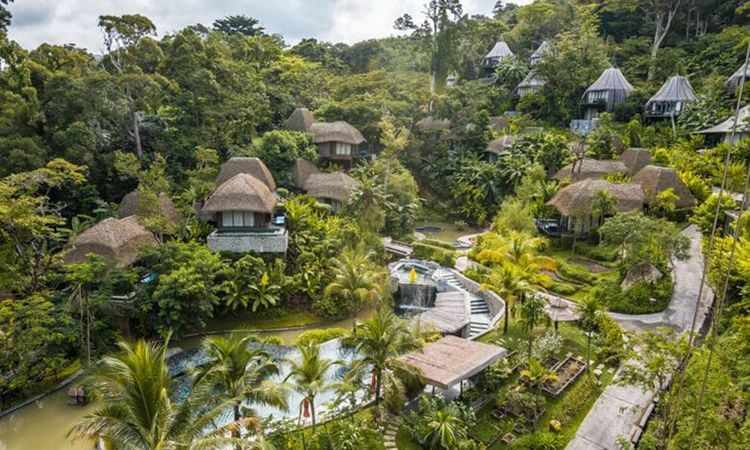 While situated in a remote location filled with uninhabited islands and rainforests within the bay area, the resort is easily accessible. 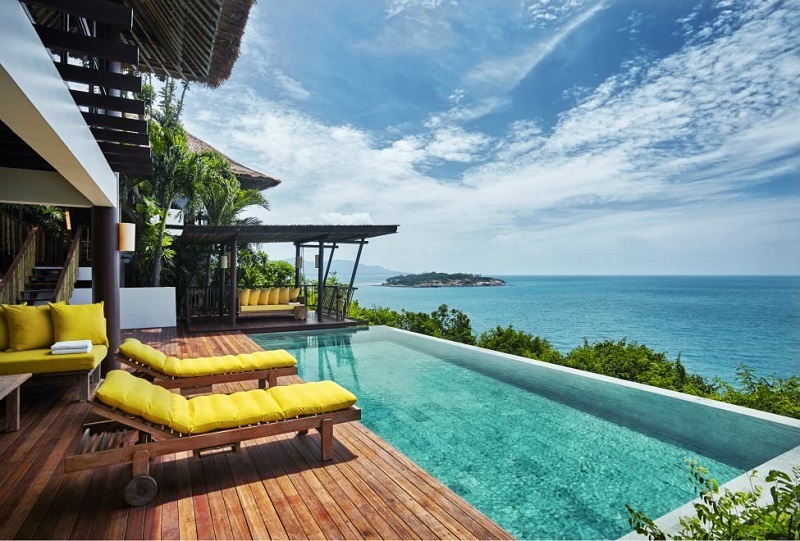 Each luxurious beachfront villa is positioned so that it faces the aquamarine waters of the bay. The villas have been fashioned from local materials, their palm leaf roofs, sustainable wooden teak furniture and fittings and clean bay area breeze that blows through their open-aired rooms, another example of the resorts deep relations with its surrounding nature. If this doesn’t sound unique or exotic enough, the resort also offers something a bit different. 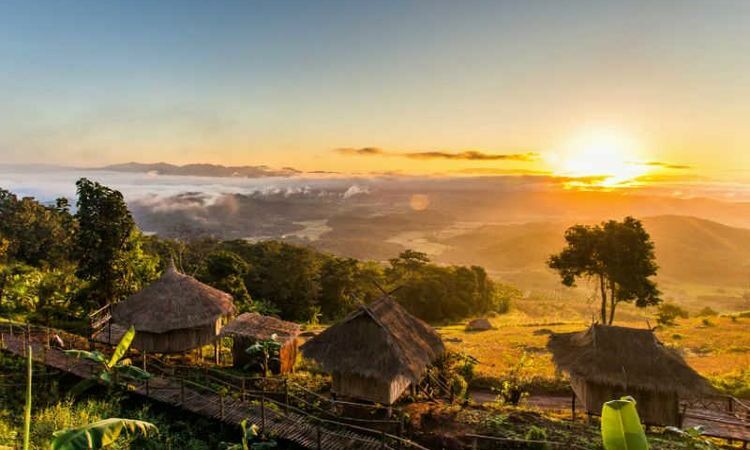 9 Hornbills, nestled on a nearby secluded hillside, a high-end luxury ‘glamping’, or glamorous camping site comprises of only seven exclusive safari tents. Each exuberant tented villa is filled with similarly extravagant, locally sourced furniture as the beach resort, additionally equipped with a private pool, indoor living facilities and a shaded outdoor lounging area. At each of these luxury tented villas, you may experience utmost privacy, peace and quietness, with a butler station tucked away nearby should you need anything. What a fantastic place to spend some quiet time, right? 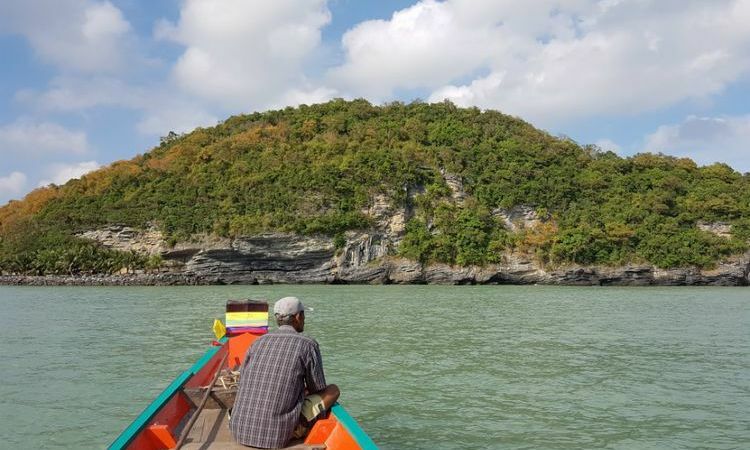 These panoramic views over Phang Nga Bay are unparalleled. Oh, it’s also worth mentioning that the tented villas are for adults only. A range of pastime activities ensure you feed your thirst for things to do and experiences, such as kayaking to nearby deserted beaches or limestone karsts, yoga and meditation, bird watching, mountain biking and more! A superb location to jump-start the new year. Just a 45-minute flight away from Thailand’s capital city of Bangkok, this 9-hectare luxury estate is stationed on the northernmost tip of Koh Samui. A collection of 66 private villas surrounded by plush vegetation, a vast infinity pool, overlooking the grandeur magnificence of the Gulf of Thailand, suitable for families, couples or groups of any size. The resort, renowned for its excellent world-class features and services, is bound to entice your sense of adventure. 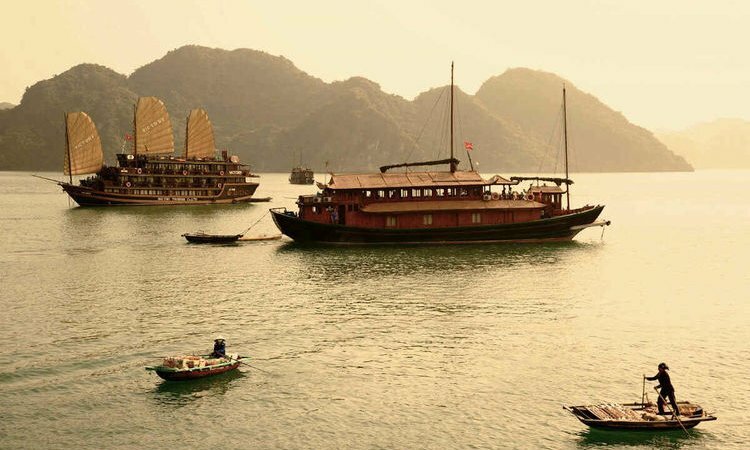 It is located within reach of a multitude of great experiences, ranging from shopping to jungle excursions, and unique boat trips to nearby tropical islands. The spacious luxury suites and villas, some with private pools, are carefully placed as to be surrounded by luscious green vegetation. Oceanfront specialty villas are ideal for larger groups or families, offering a peerless sense of privacy and relaxation amid their panoramic views. Koh Samui is a fantastically vibrant destination, catering to the needs of every kind of traveler, be it a beach bum or a thrill-seeker. From this resort, guests can easily check out other areas on the island, or visit other popular islands within the region. The international airport is a 15-minute drive away from the resort, with a wide variety of restaurants, bars and other places within reach should you wish to go exploring. The fourth largest island in Thailand, Ko Kut, is home to the Soneva Kiri, a state-of-the-art highly eco-conscious resort facility. Soneva are unique in their admirable mission to become “custodians of pristine locations”, having been awarded for their efforts in sustainable business practices within the tourism and hospitality industries across multiple international destinations by the World Travel and Tourism Council and the Conde Nast Traveler magazine, to name a few. Villas here are harmoniously scattered across the tree line surrounded by the pristine white sands of one of Thailand’s least traversed islands. Options include cliff top villas, perfect for admiring the rising dawn or sundown, and numerous kinds of beachfront properties, some of which have their own private beaches! Getting around the island is easy, with private golf buggies available for use, or simply by trekking or cycling around. The island’s North Beach is said to rival that of the best beaches in the Maldives, well, there’s really only one way to find out. A plethora of recreational activities are offered on and around the island, from cultural excursions to a local fishing village, diving among the immaculate coral reefs in the Koh Rang National Marine Park, to different ways of spending your time at the breathtaking facilities of the resort. The in-house selection of activities includes Benz’ Cooking Class (great for kids!) where you may learn about cooking authentic Thai cuisine, dining in ‘tree pods’- suspended rooms high up in the rainforest canopy, luxurize yourselves at the Six Senses Spa, an Astronomer’s dream- a planetary observation facility for gazing into the universe, the Cinema Paradiso- a comfy open-air cinema with nightly motion picture screenings and not to forget a range of complimentary water sports such as kayaking, hobie cating or paddle boarding. While sustainably operating within the serenity of its environment, this resort truly offers a once-in-a-lifetime holiday experience. Kick-starting the new year off from here would be nothing but a dream come true. The ultimate luxury beach escape in Krabi. Situated beside a 1.8 kilometer stretch of the well-famed white sands of Klong Maung beach, this sensational resort consists of 40-hectares of well-kept land, with an abundance of access points to the beach throughout its eye-catching grounds. The elegant amenities here offer contemporary interiors riddled with top-notch modern luxury. The resort facilities include an enticing selection of restaurants, bars and other activities to keep you occupied. Restaurants offer a wide range of international cuisine such as the Mangosteen’s Indian menu, the Malati Restaurants’ Thai influenced menu presenting a variety of seafood oriented dishes or the Limoncellos hearty Italian. An ample amount of bars are also positioned throughout the resorts gleaming facilities, from the poolside CoCo Vida Bar, to the Malati Beach Bar, and more in-between. The Dusat Thani also comprises of fully kitted business meeting rooms and event facilities, suitable for both outdoor and indoor activities. A professional event management team is at the ready to cater to your every need. The largest and more sizeable DFiT Fitness Center in Krabi is found right at the resort, offering a combination of contemporary outdoor and indoor physical activities, a gym and ultimate relaxation. Other outdoor activities here include water sports, tennis courts, bicycle riding, and beach activities such as badminton or volleyball, ideal for team building. Slap bang in the middle of the resort lays the Linger Longer Spa, a rejuvenating oasis of traditional facials, natural body scrubs, massage therapies, manicures and pedicures. There aren’t many better ways to go about feeling revitalized and ready for the forthcoming year. A pleasure-seekers paradise, the Anantara Bophut in Koh Samui provides optimum grounds for relaxation, organizes a great deal of adventurous experiences for guests to take part in, all enshrouded by the surrounding tranquility of palm trees, a lily pond and a vast golden-sanded beach. The resort offers a distinctive set of special activities, easily appealing to the wants and needs of any breed of traveler, be it a family, a couple, a group of friends or the solo globetrotter, the Anantara Bophut is bound to charm you. Immerse yourself into the local culinary scene with Spice Spoons, along with a chef, venture to local markets and select fresh ingredients before picking herbs of your choosing from the resorts own gardens. A step-by-step cooking class will allow you to master your favorite Thai recipes. For all the starry-eyed lovers out there, a special secluded romantic dinner for two can be organized right atop the soft sands of the beach beside the resort. A personal butler ensures that your every wish becomes a reality, including a wide variety of international culinary options and fine wines. In addition to a range of holistic healing experiences for refreshing the body and mind, the Anantara Bophut also offers award-winning spa treatments. Unique expeditions around the increasingly multicultural island of Samui involve visiting some of its 32 different houses of worship. Community-wide festivities are common here and everyone is invited to join in on the fun. This is a particularly great way to see a different side to life on a tropical island. Fantastic for families seeking to indulge in local customs and activities, explore street food stalls, witness live cultural performances such as dances and plays and be entertained regardless of the time of day or night! Spoiled for choice, the Anantara Bophut Koh Samui would be a great place to revitalize at after New Year’s Eve, or before you return to the flurry and commotion of your routine back at home. 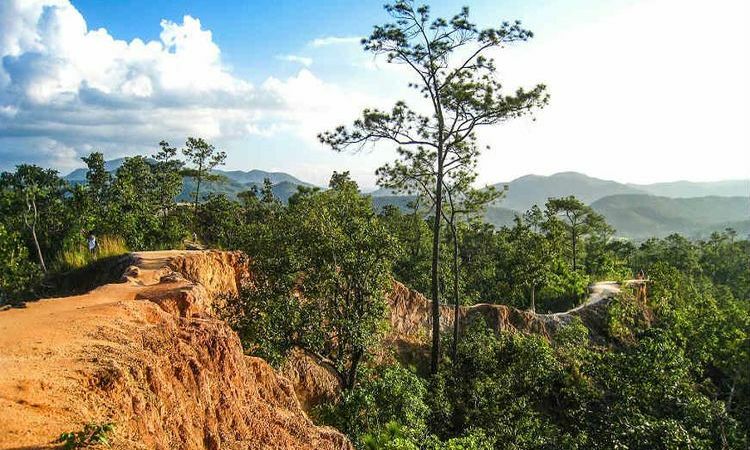 If you like what you see here, and want to further discover Thailand, take a look at this Island Hopping sample tour itinerary and start planning your trip now!